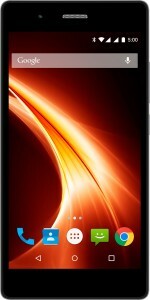 All prices of Lava X10 (Black, 16 GB)(3 GB RAM) in the above table are in Indian Rupee. 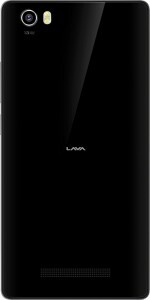 The Lava X10 (Black, 16 GB)(3 GB RAM) is available in SNAPDEAL FLIPKART AMAZON SHOPCLUES CROMA. The lowest price of Lava X10 (Black, 16 GB)(3 GB RAM) is 5999 in SNAPDEAL. 3.8 Average Based on 614 Ratings and 168 Reviews. Good Near Stock Android ROM, Resonable Price for 3GB RAM! Bought it after heartburn with Xiaomi Redmi 2 Prime. First and foremost requirement was - Stock Android ROM, which it fulfilled. Also I have a old Lava Iris 504Q which is rock solid till now, had bought it after seeing its hammer shattering videos almost 1.5-2 yrs ago; hence have some trust on lava as well. This X10 fulfilled all my other requirements as well viz. 2gb RAM but it got 3GB, quad processor and 4G with 5inch screen gorilla glass (would have liked Asahi Dragontrail, as 504Q has; anyways people say both are same, not sure though). Bought It yesterday and got it today afternoon. As soon as I got it, was disappointed as Battery is "Non-Removable"; Apart from that everything else is fine. 3gb RAM out of which almost 2 gb remains free and 16gb ROM and 4G LTE works fine on airtel sim. Checked Viber, skype, google hangouts, ok google - all work flawlessly out of box - no settings needed. All in all happy with it, would have liked a flipcover with it (504Q was supplied with flip cover by company), will need to search in market for flipcover now :( One Star less for Non-Removable battery - rest all good. Good camera & long lasting battery! Thanks to the 13 MP rear camera and the 5 MP front camera of the Lava X10, the picture quality of this phone is unmatched in this prince range. Plus it also comes with a high performance 2900 mAh Li-Polymer battery, which offers users gives a day’s of 2G talk-time and more than half days hours of 3G talk-time. In my opinion, no other Android smartphone gets even close to the performance and specs of the Lava X10. Getting Lava X10 for temporary! I will be getting Lava X10 for temporary use as I lost my old one phone. Considering the features of the phone it’s a pretty sweet deal. •	Powered by 3GB RAM, it helps multi task without and lagging and waiting. •	4G friendly, because it is faster than 3G •	5’’ display, easy on the eyes for reading •	For multitasking the phone entire day its 2900 mAh Li-Polymer battery is a life saver Lava’s friendly figure encouraged me to place an order for it. And I would definitely suggest this phone for those who does not want to invest so much in phone but does its job of enabling you with the basic requirements.